Wend your way from source to target words using letter swaps and letter banks. Can you match today’s Par 9 score? 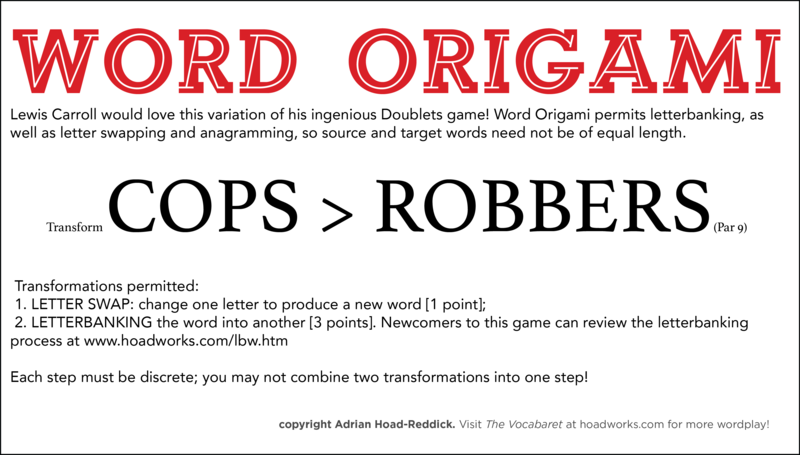 I’ve been enjoying your various word puzzles, but I’d have to say these Word Origami puzzles are my favorite type so far. Please keep them coming!